Halloween will be here in just three days! Are you prepared? 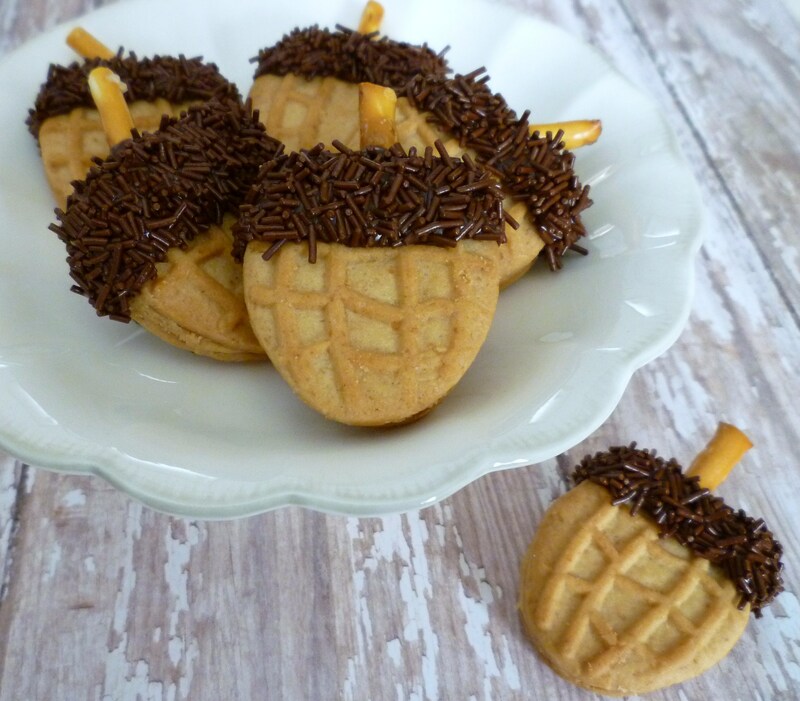 Today, I am sharing a few quick and easy treats that have one thing in common … peanut butter! 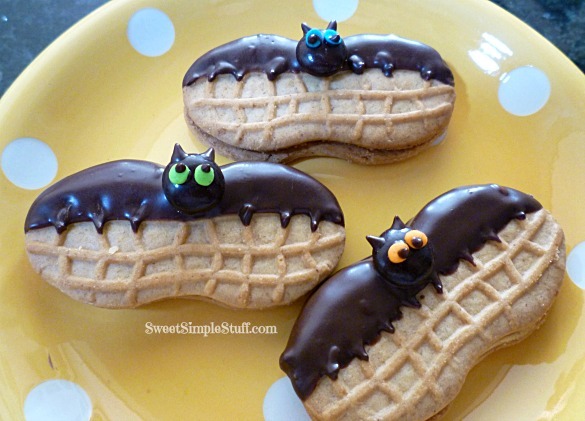 I made these Nutter Butter bats last year and they are my most popular treat this year! Happy Zombie-ween! 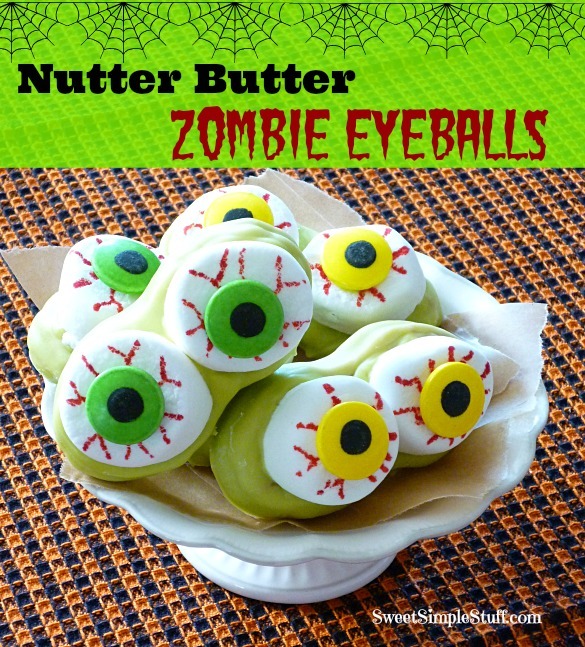 Celebrate with Nutter Butter Zombie Eyeballs! I love these Peanut Butter Cup Brooms (courtesy of Hershey’s)! Thank you to Colleen B. (a reader) … she was thinking of my peanut butter lovin’ hubby and sent me the info … so sweet! 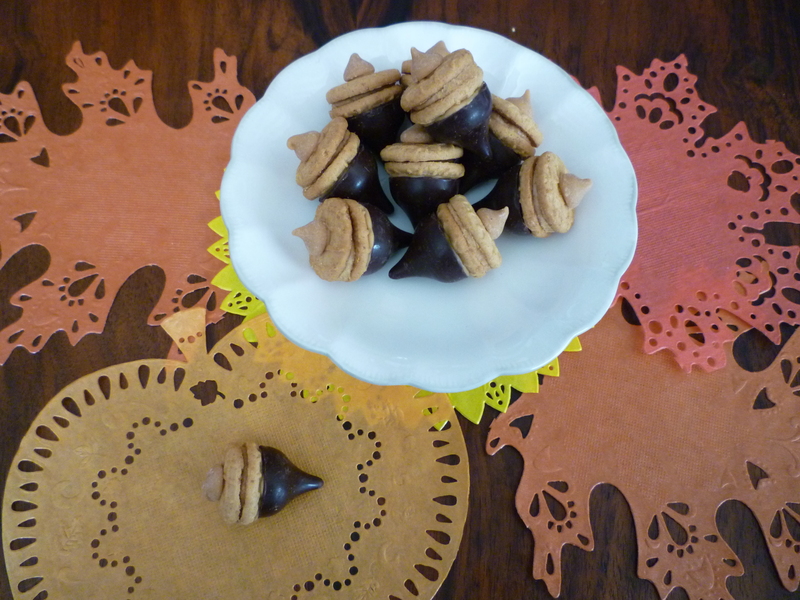 Nutter Butter Acorns are so easy to make … this is the “2012 Acorn” … possibly my favorite acorn! My first acorn … a version that I’ve seen done so many different ways … can’t go wrong with chocolate and peanut butter!